5. 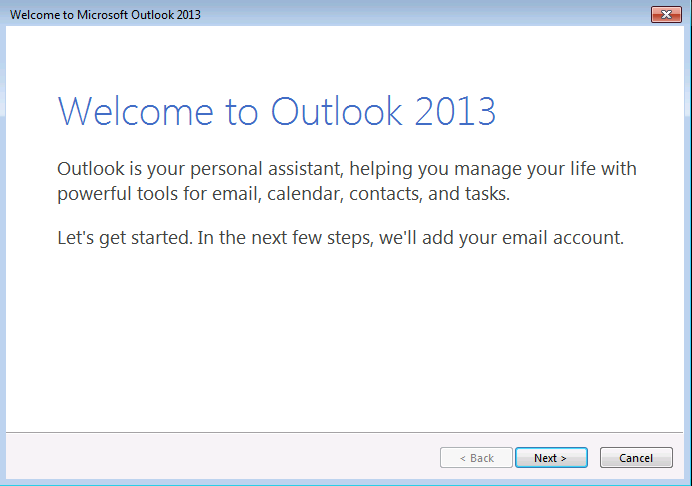 If this is the first time you have run Outlook, you may see a screen similar to this. Hit Next.